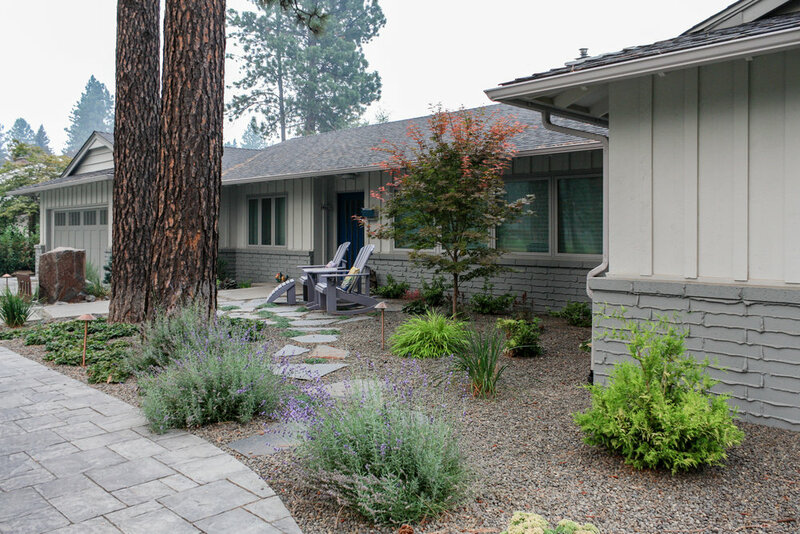 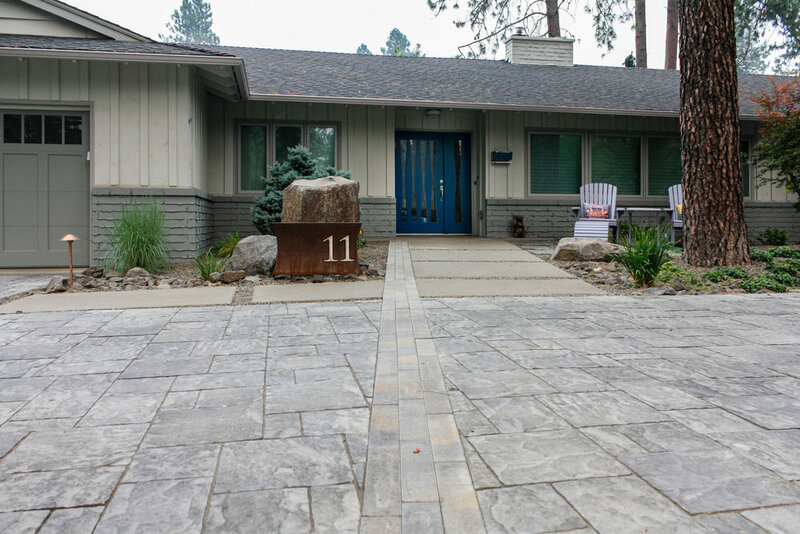 After moving into a mid-century ranch home on Spokane's South Hill, these homeowners gave the tired landscape a dramatic makeover. 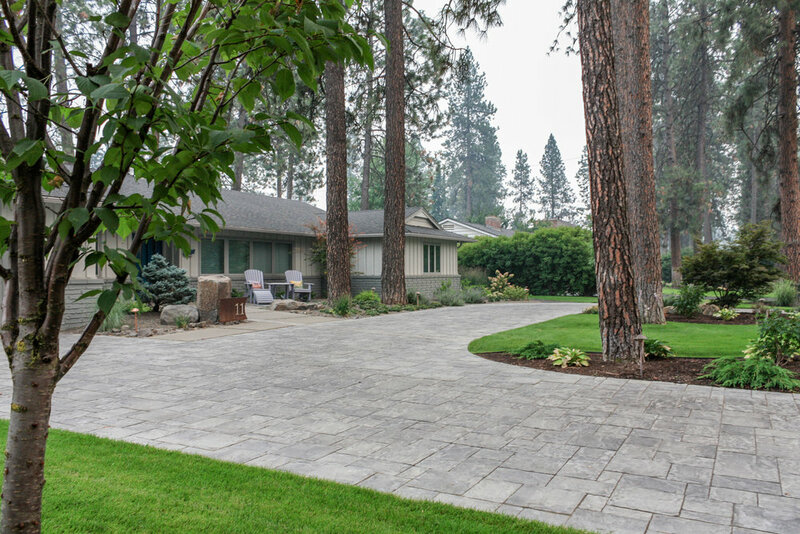 The aging asphalt driveway was replaced by precast concrete pavers that coordinate with a new walkway of sandwashed concrete pads. 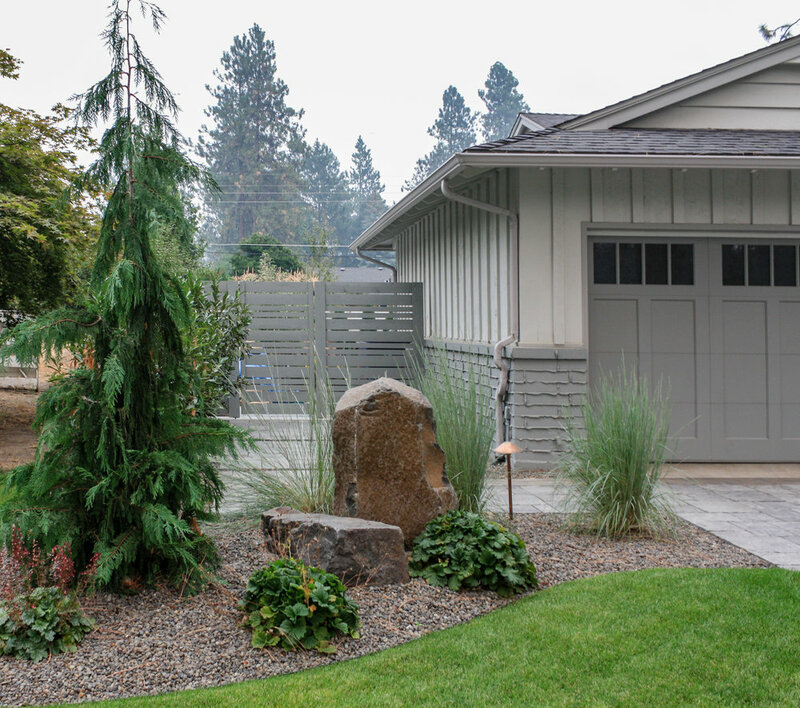 A pared-down front lawn reduces the overall water use of the landscape, while sculptural boulders add character. 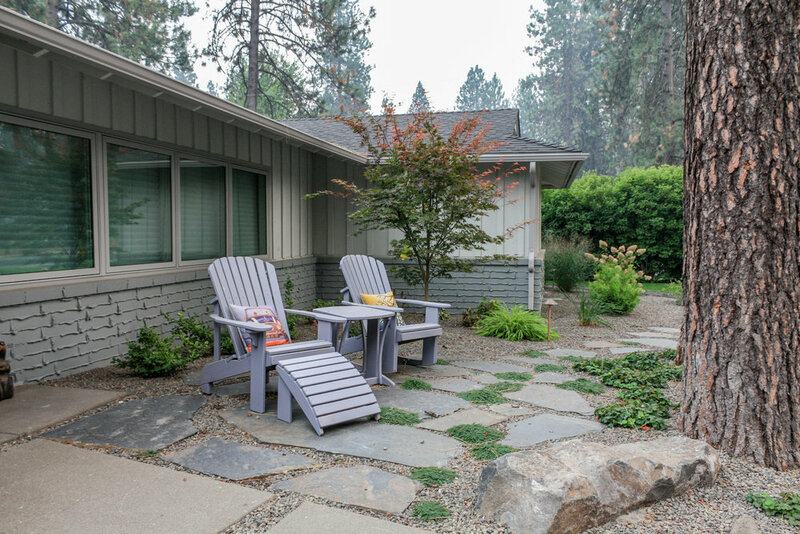 A small flagstone patio creates a spot to enjoy the outdoors in the courtyard-like area between the house and the towering ponderosa pines. 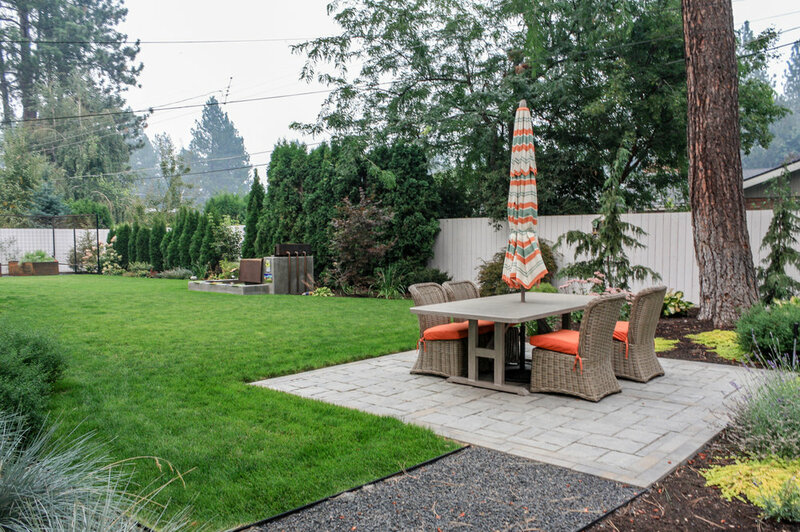 The backyard received a similar update, with a new garden area, water feature, and paver patio anchoring the updated space.